Hello and welcome, it's Melinda with you today and... No, you are not seeing double! Yes, this is another 'name frame' however this time I have created a 'girly' version for a special little poppet in our family. It would be safe to say that I'm kinda addicted to creating these frames because I'm a 'sucker' for all these adorable elements. 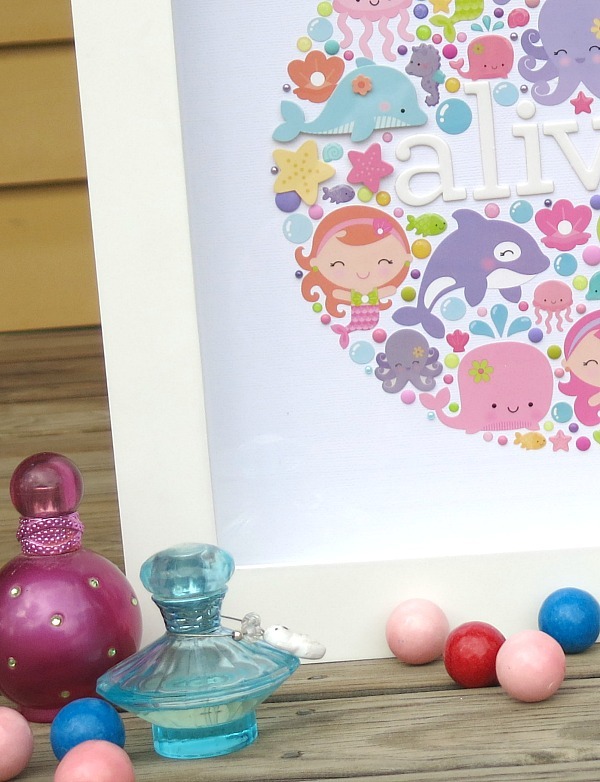 Under the Sea is perfect for all those girly photos that include water or swimming or even fish tanks etc. However, there's no reason why you can't create a photo-less piece of artwork to adorn someone's wall. 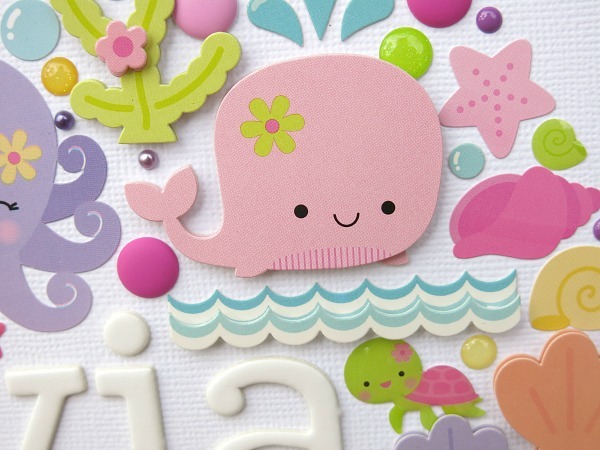 There's plenty of colour choice in the collection to co-ordinate with most little girls' bedrooms. And just look at those 'cutie patootie' Doodle Pops and Icon Stickers. I crammed almost every last piece onto the artwork as I didn't have the heart to leave anything off. And just in case you haven't seen them yet... YES, I have used some of the latest Matte Sprinkles which are wonderful for taking photos as you don't get the shine like you do with some of the glittery versions. 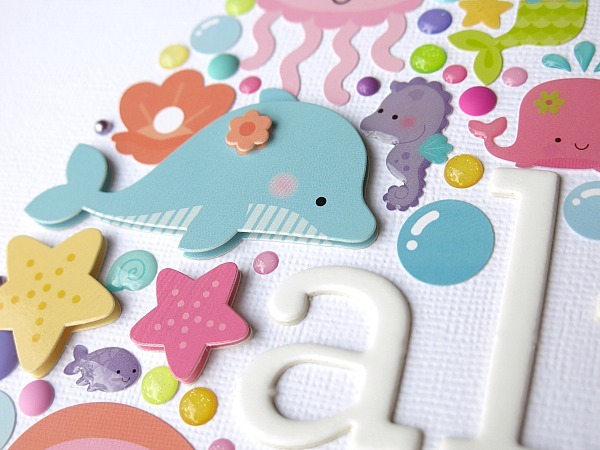 Your name frames are fabulous! They are beautiful works of art! So stinkin' cute!!! 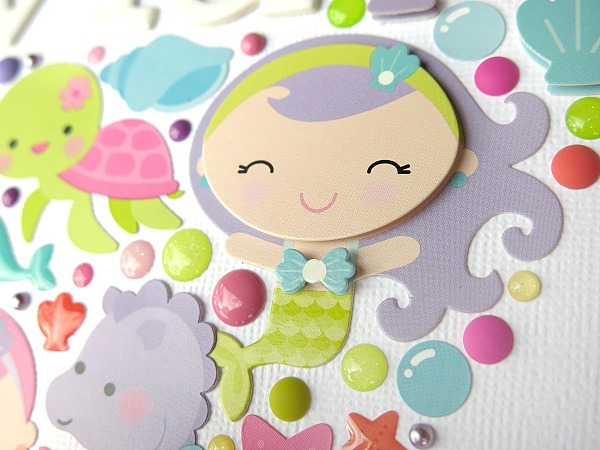 Someday I want to "Melindify" one of my layouts with all of the cute embellies like this :) Adorable! !